This is the second part of a list of songs in the Searching For A Gem pages. Titles in red are not included on a currently available Columbia Bob Dylan CD (for these see bobdylan.com ). Dates are of first release. Take 4 has now been released on The Cutting Edge 1965-1966: The Bootleg Series Vol. 12 (6CD Deluxe Edition) CD2, track 19, and The Cutting Edge 1965-1966: The Bootleg Series Vol. 12 (18 CD Collector's Edition) CD6, track 4. Because the 6CD Deluxe Edition is widely available, R-0046 is no longer a rarity. R-1654 Performance by Barry Goldberg with Bob on piano, recorded at Blue Rock Studio, New York, summer 1971, first published on YouTube, Dec 2016, see Online Performances (Other). R-0830 was released in Oct 2008 on The Bootleg Series Vol. 8 - Tell Tale Signs: Rare And Unreleased 1989-2006, see here. This means it is no longer a rarity. R-0488 Mono album and single version (3:20), Take 9 from 2 Aug 1965, slightly shorter than stereo album version (3:28), see 1965. This is included on the mono release of Highway 61 Revisited as part of the 9CD set The Original Mono Recordings in Oct 2010, so is no longer a rarity. R-0859 Recorded live (incomplete), recorded Brandeis University, Waltham, MA, 10 May 1963, from Bob Dylan In Concert: Brandeis University 1963, bonus disc with 8CD boxed set The Original Mono Recordings, Columbia/Legacy (USA/Europe), 2010, removed now this album has been added to the bobdylan.com albums page. R-0738 was released in Oct 2008 on The Bootleg Series Vol. 8 - Tell Tale Signs: Rare And Unreleased 1989-2006, see here. This means it is no longer a rarity. Also known as Lonesome Whistle Blues. R-0230 A sample of a unidentified Dylan song is included in the song Herbalz In Your Mouth (see above) by rappers 3rd Bass from their 1994 PGD/Polygram album Derelicts Of Dialog and Bob is credited as co-author, see 1994 Tim Dunn has identified the song as this. It has now been released in Nov 2014 on The Bootleg Series Vol. 11 - The Basement Tapes Complete (CD3, track 11) and The Bootleg Series Vol. 11 - The Basement Tapes Raw (CD1, track 10), but in a remixed version. Now released in Nov 2015 on The Best Of The Cutting Edge 1965-1966: The Bootleg Series Vol. 12 (2 CD Standard Edition) (CD 1, track 9), The Cutting Edge 1965-1966: The Bootleg Series Vol. 12 (6 CD Deluxe Edition) (CD 1, track 22) and The Cutting Edge 1965-1966: The Bootleg Series Vol. 12 (18 CD Collector's Edition) (CD 3, track 2). R-0327 is therefore no longer a rarity. R-0137 Recorded live with the Rolling Thunder Revue, Harvard Square Theatre, Cambridge, MA, 20 Nov 1975, from the 1978 Columbia promo 12" EP 4 Songs From "Renaldo & Clara" (see 1978), also released on the 1993 Japanese promo CD Mr. D's Collection # 3, the 1995 European Dignity CD singles, and the 2001 Japanese live compilation Bob Dylan Live 1961-2000: Thirty Nine Years Of Great Concert Performances. 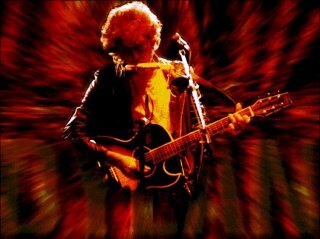 The version of this performance released in Nov 2002 on The Bootleg Series Vol. 5 - Bob Dylan Live 1975: The Rolling Thunder Revue is a remix, so R-0137 remains a rarity. R-0394 [As Phantom Engineer] - early version of this song, recorded at Columbia Studios, New York, 15 June 1965, surfaced in 1980 on unreleased Columbia acetates, see 1980. I had this listed as an alternate take to the one released on The Bootleg Series Vols.1-3, but Bob Stacy now tells me that they are the same. A definite alternate take is now released on The Bootleg Series Vol. 7: No Direction Home, Sep 2005! Fred Muller says the version on the Columbia/Legacy USA/Europe 36CD set The 1966 Live Recordings, Nov 2016, R-1906, is slightly clipped at the beginning when compared with the versions on Masterpieces and The Band: A Musical History. This is confirmed by Peter Coulthard and Roger Ford, who say that the first two bars of the performance on the 1966 mono single and subsequent releases of R-0054 up to 2016 were spliced in (presumably by Columbia engineers, not tour engineer Richard Alderson) from the performance of Just Like Tom Thumb's Blues from the ABC Theatre, Belfast, Northern Ireland, 6 May 1966! This means that track 8 on CD14 of The 1966 Live Recordings is not the same as R-0054, and is now R-1901.